What is a SPC Category? Marginal Risk, Slight Risk, Moderate Risk…terms we use as meteorologists to signify a Severe Weather Day for you. These forecasts come from the Storm Prediction Center (SPC), located in Norman, Oklahoma. 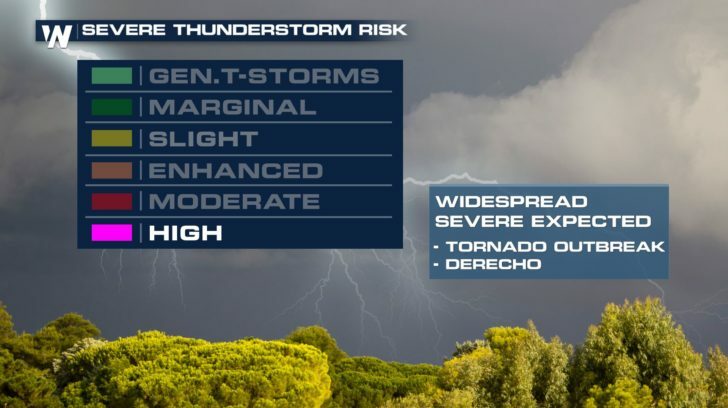 There are five severe thunderstorm risk categories, all relating to the probability of a severe weather event within 25 miles of any given location. The outlook also factors in how widespread or intense an event might be. 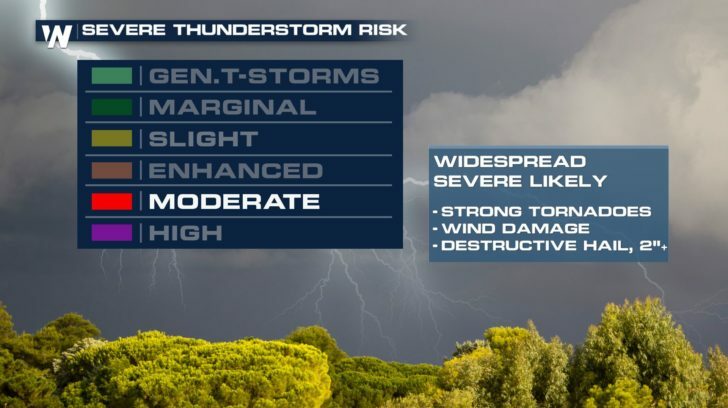 A severe thunderstorm is defined by the National Weather Service as one with measured wind gusts at least 58 miles per hour, hail at least one inch in diameter, and/or a tornado. A Marginal Risk means storms could be spotty, and typically will be limited in duration and/or intensity. Even though this threat level is on the lower end, you should still take it seriously: tornadoes, damaging wind, and large hail are all possible. A Slight Risk means scattered powerful thunderstorms are expected. While storms may be short-lived, they can be intense. 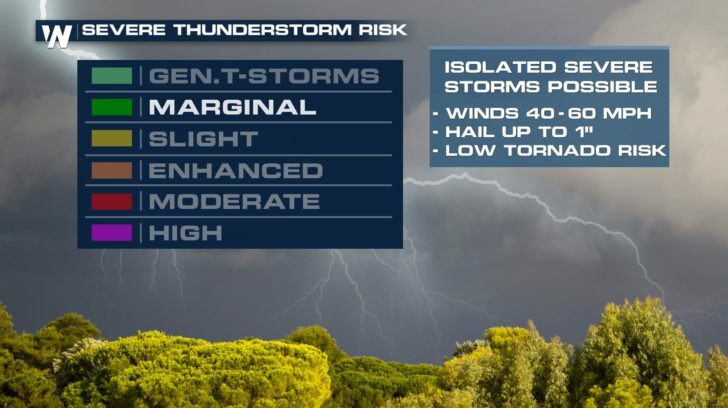 Within the risk area, storms could produce tornadoes as well as isolated areas of wind or hail damage. An Enhanced Risk means numerous severe storms are expected over the risk area. Coverage of storms will be more widespread than the previous threat levels, once again, hail, wind damage, and tornadoes are possible. 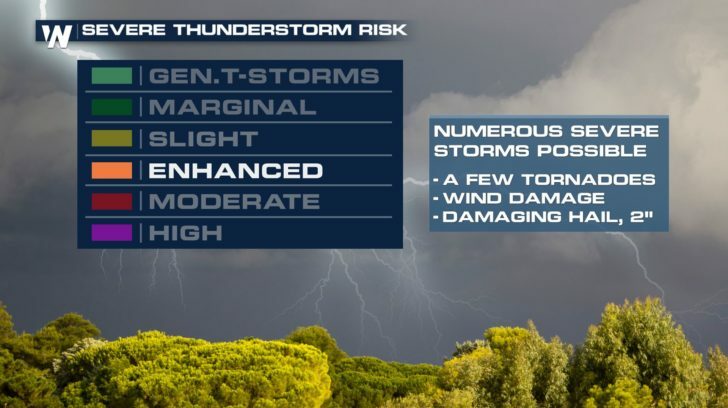 A Moderate Risk means severe thunderstorms will be more widespread within the area, potentially longer-lived storms, and even more intense than the first three categories. A day with a moderate risk level on the SPC scale often holds potential for strong or long lived tornadoes, and extensive wind or hail damage. Then, there’s the fifth category, High Risk. This threat level is not common — it is the most severe and should be taken very seriously. Storms could potentially bring catastrophic damage. 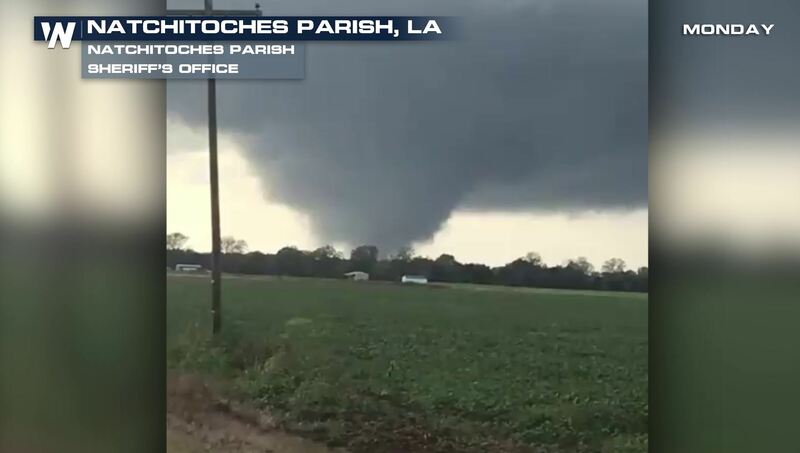 In high risk days, strong, long track tornadoes are possible, as well as widespread damaging winds or extremely large and damaging hail. Just remember, severe storms can happen anywhere, any time of day. That’s why it’s important to always stay with WeatherNation when there’s even the slightest threat for severe weather in your neighborhood..